Who doesn’t love buffalo plaid? Now even your drinks can be decked out in the latest fashion! 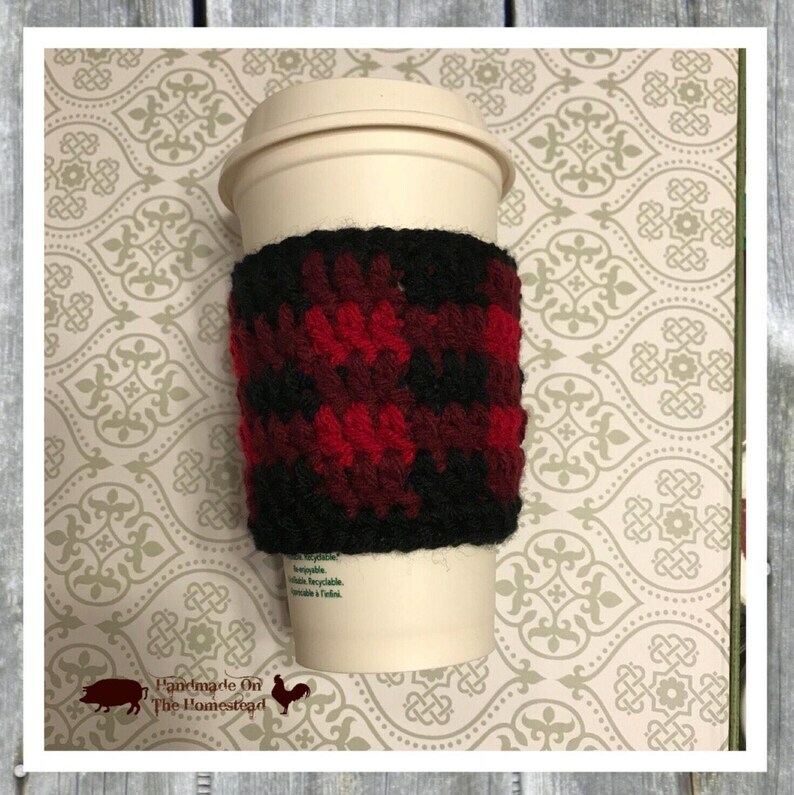 Perfect for hot and cold drinks and made with acrylic yarn. This cozie will fit most standard take out coffee cups. Most Gift wrapped items will arrive in a box with Christmas themed wrapping paper. 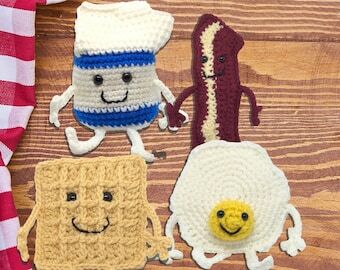 Stuffed items will be in a drawstring gift bag. Shipped fast and very well made! Can't wait to give this to my step-sister for Christmas! Most items can be purchased at wholesale. Contact me for more information about specific items. All orders are hand delivered to the post office. Because of this orders will ship out on Mondays, Wednesdays and Fridays.